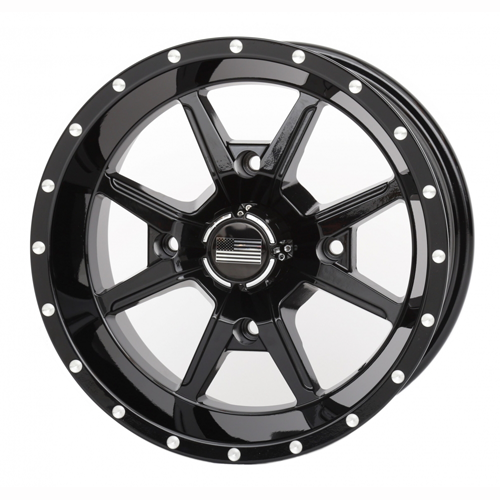 The durable Frontline 556 wheels are available in a gloss black or machined aluminum clear coat finish. This wheel will catch your eye with its deep dish look. Check out the screw-in center cap with the American flag logo. With its 1000 lb load rating and lifetime structural warranty, these wheels are specifically designed for even the biggest UTVs.